In April, the Financial Conduct Authority (FCA) will start regulating the payday loans market. But what are the dangers they're trying to control, and what changes can consumers expect to see? At the moment, you can be charged up front simply for being put in touch with a payday lender. This is because adverts don't always make it clear if you are dealing directly with a lender, or just a broker who will find you the best deal at a cost. 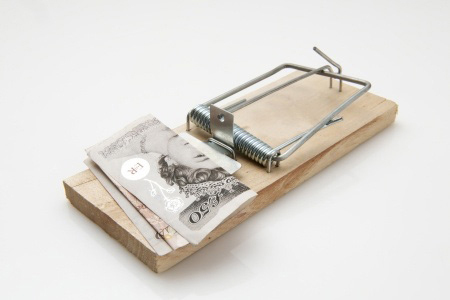 Brokers can charge fees of up to £70, even if the loan application is eventually rejected. The Citizens Advice Bureau criticised this just this week, highlighting the fact that it's important to know who you are dealing with. The first thing to note is that interest rates shown on publicity material is ‘representative', which means it isn't always the one you'll end up paying. While that may seem like a lot, the real issue is the fact that if you choose to roll over or fail to pay on time, the interest rates can rise dramatically. The FCA is currently looking to cap these interest rates. A continuous payment authority (CPA), recurring payment, or guaranteed payment lets lenders repeatedly take repayments from your bank account without seeking authorisation. You'll know when a loan company sets up a CPA because they will ask for the long number across the front of your card, whereas a Direct Debit asks for your bank account number, sort code and address. The FCA has already had problems with payday loan companies taking advantage of CPAs, and banks failing to cancel them on request. Although they intend to limit CPA use by payday loan companies, you should always think twice about choosing a lender that uses a CPA, as they will be able to continually take money from your account regardless of your balance. One of the key attractions of payday loans is how quickly you receive the money. But it's important to remember that this comes with risk. While conventional lenders and credit unions have checks in place to ensure only financially stable applicants receive funds, many payday loan companies skip these safeguards to get the cash to you a day or two quicker. Edinburgh MP Mike Crockart discovered this when he received immediate approval for a loan he applied for under the fake name ‘Boris Peep'. Although one of the key objectives of the FCA is the introduction of mandatory affordability checks, we still advise against assuming that an accepted loan application means you'll be able to pay it back. In fact, some of the more unscrupulous lenders rely on the fact that you won't pay back, as this is the only way they can make a profit. Before applying for a payday loan, remember - taking control of your finances is more important than finding a quick fix. To help regain control of your finances, try our free Money Dashboard service, where you can organise your money in one easy-to-use space and get a better idea of your financial position.